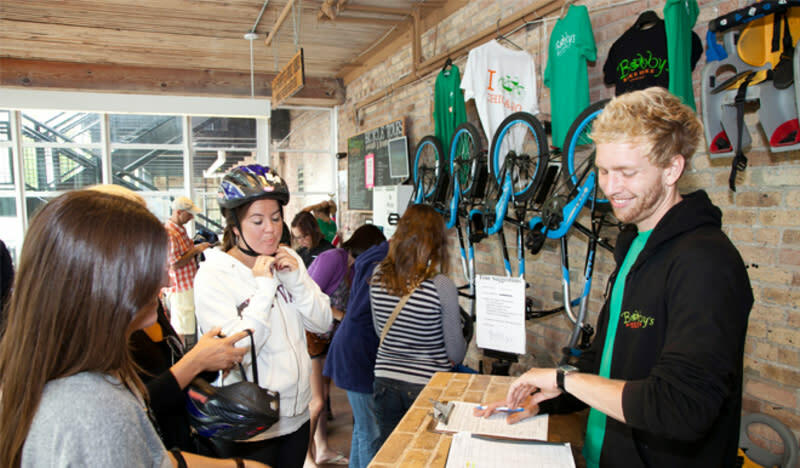 540 N. Lake Shore Dr.
Bobby's Bike Hike offers award-winning bike, walking and food tours of Chicago for a variety of interests, ages, and fitness levels. Experienced guides make all the difference, providing entertaining insights and unparalleled knowledge about the City. Bikes/helmets/food provided. Year-round tours depart numerous times throughout the day from 540 N. Lake Shore Drive, Chicago, IL 60611 (three blocks west of Navy Pier). Large groups welcome. Family/Student Friendly. Would you rather go on your own? Rent a brand-new comfort, mtn, hybrid, road, e-bike, or child bike and equipt and discover the 20-mile lakefront bike trail on your own. FREE locks, helmets, and maps with rental. www.BobbysBikeHike.com to SAVE 10% on tours and rentals. 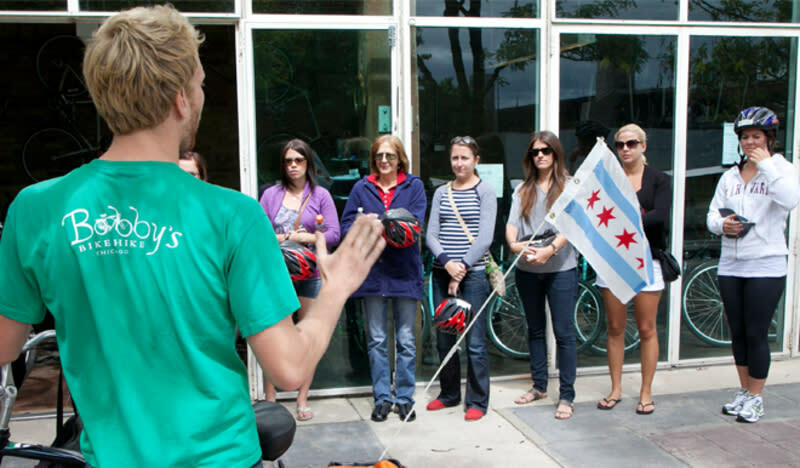 Bike Tours depart March through December. Walking and Food Tours depart year-round from various locations around the City. Hours of Operation: 8 a.m. - 7 p.m.